Riots are have erupted with hundreds of protesters gathering at a suburban St. Louis police station on Monday demanding murder charges against an officer who shot to death an unarmed black teenager over the weekend. 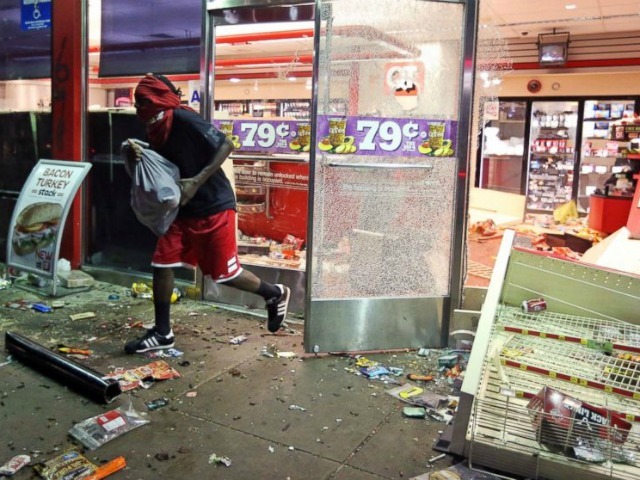 Looting just went nuts like the ’60s. While this is being painted as a race issue, there is yet another issue that is not being addressed – that is the militarization of the civil police forces around the country. Ever since 911, there has been a trend moving toward much harsher local police. Here is a photo of how the Boston Police have militarized to the point it looks like war against the people. Even small towns are geared up for war. The small town of Medford, Oregon with a population of 76,462 has spent millions of dollars to militarize their police. They have their own Swat Teams, yet no incident in history of some major shooting of such a nature to warrant a Swat Team. 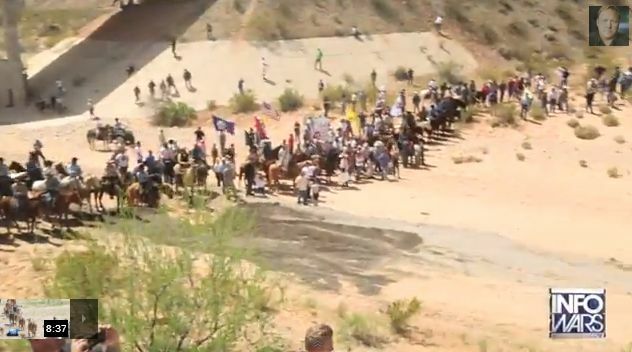 The entire reason where there was the Second Amendment was to eliminate this very threat of standing armies. We are seeing the abuse of force at every level. Medford Police bought a new vehicle that some say could survive a so-called the apocalypse. They used their Swat Team to go after a mere carjacker. 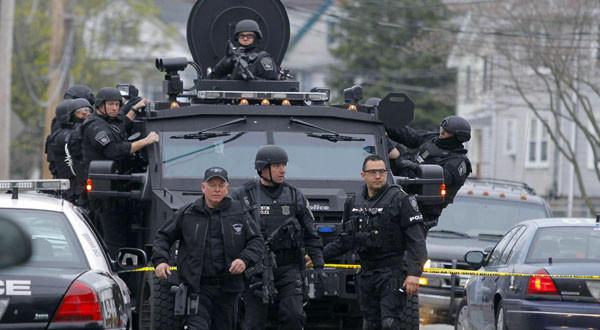 Medford, New Jersey with a population of just 23,033 also has a Swat Team. They rushed in and held two white kids on the ground at gun-point for shooting potatoes into a lake setting hair spray as the propellant. The whole thing about standing armies has been their historical use out of boredom. It is a shame to pay for something and then not use it. 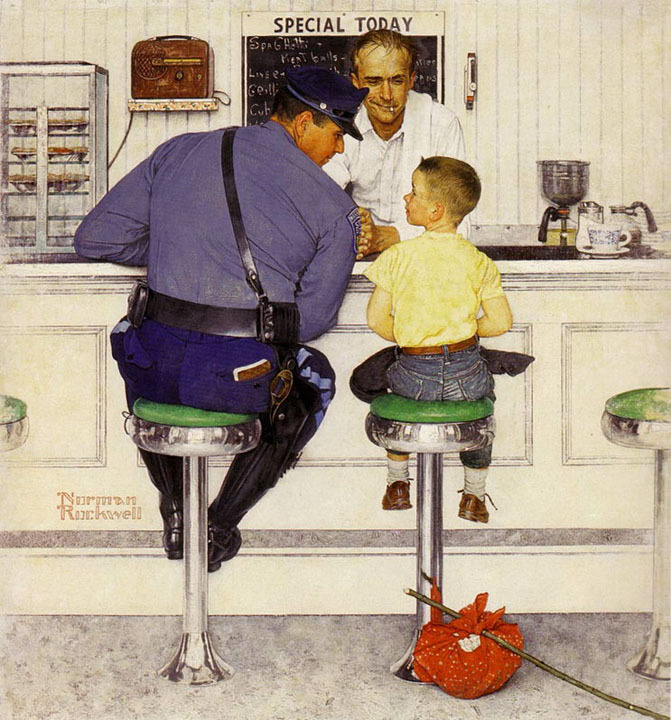 Police use to be friendly as shown in Normal Rockwell’s classic painting. Sure there are a few good souls still left. But the attitudes have shifted to being just mean and nasty as they look at the civilian population as evil. This is a problem that is brewing and is extremely dangerous to say the least. Examples of police abuse are all over the internet. There has been a loss of respect for the people and there seems to be no way to reverse this process. They sprayed protesters in the eyes during Occupy Wall Street movements everywhere. The conduct has been outrageous. This killing of this black teen is not simply racism. The problems are much deeper. Claiming this is just racism deflects the entire issue and makes it simply black-v-white. This is something far more serious for it is impacting our entire society. The protests over land was yet another example. The police showed up with weapons and told the people they would shoot to kill. The police are being transformed from protecting the public into protecting government from the public. Most do not even see what transformation they have gone through.